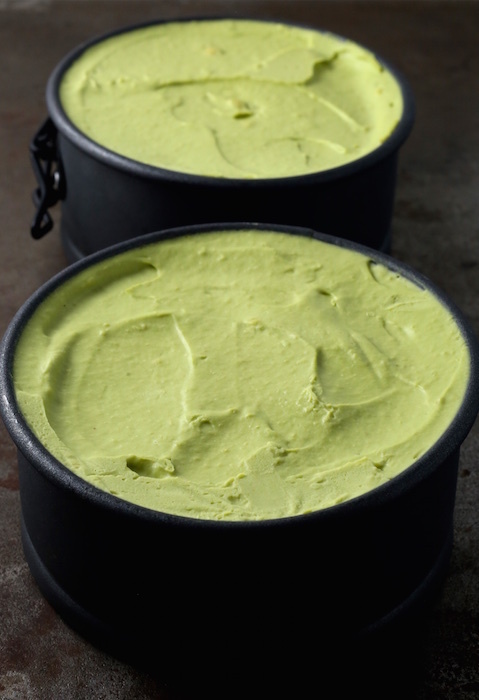 I’ve never eaten a full “raw” diet, but I saw someone Instagram post a raw avocado dessert they ate at an LA restaurant and immediately wanted to try it. If you’re skeptical, get over it. 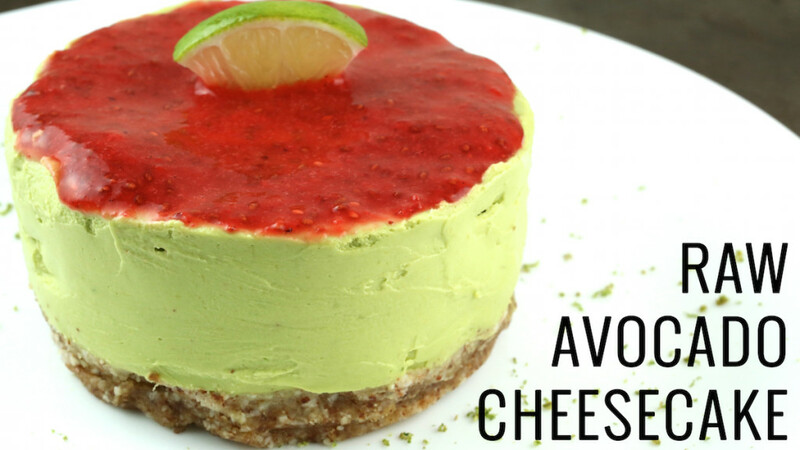 The avocado makes the cheesecake super creamy. The crust is a lovely combination of almonds, dates, and shredded coconut. I honestly prefer it to traditional cheesecake crust. I think it’s the perfect dessert because it satisfies your sweet tooth while still being light and healthy. No need to feel guilty after consuming half of one by yourself! Grind the almonds, shredded coconut, and dates in a food processor (I used this one). Add the water and grind until it has formed a dough. Add the coconut oil last. Grind again into a mixture that will hold together when pressed in your hand. Press into the bottom of two 4″ springform pans and set aside. Put the avocados, agave, key lime juice, vanilla, and stevia in a clean food processor and blend until smooth and creamy. Add the oil, and butter. Blend. Allow to firm in the fridge for at least 8 hours. 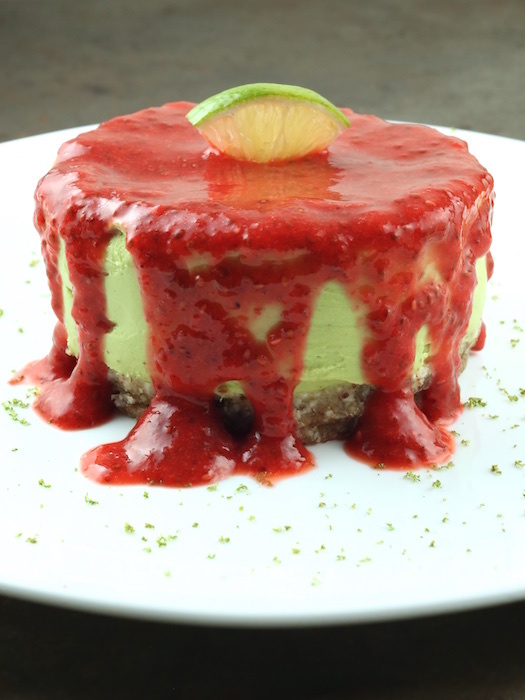 Prepare the topping by taking the strawberries, lime juice, stevia, and chia seeds in your food processor. Blend together then refrigerate at least 2 hours. Top cheesecake immediately before serving.